The Femoral Leg Simulator consists of a male size leg with two openings where a Small Femoral Artery can be placed and hooked up to the pulsatile pump to provide a very realistic training scenario. 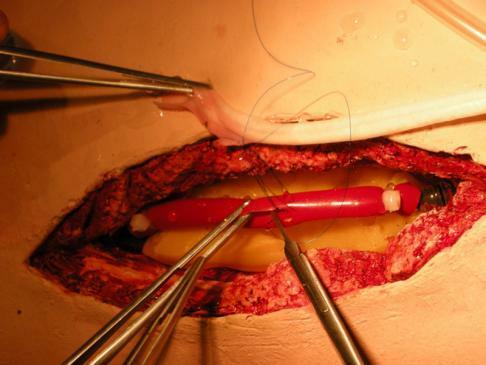 The trainee can be trained on all steps of a vascular end-to-end and end-to-side anastomosis and utilize all the tools, at the right angle, to conduct their anastomosis training. 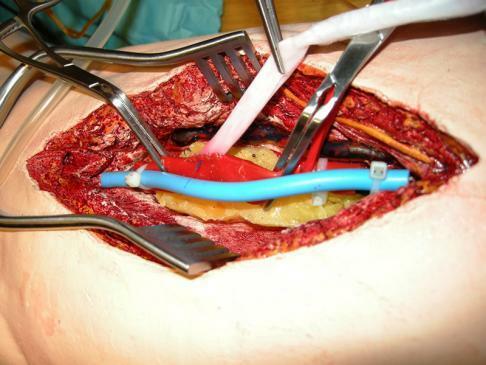 Realistic human leg with two openings that allow two trainees to train simultaneously and practice the usage of all vascular instruments to access, clamp, cut vessels and perform and end-to-end or end-to-side anastomosis at the right angles. 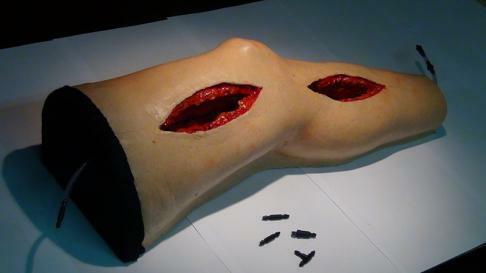 This product includes a male-sized leg with two openings to fit Small Femoral Arteries to be practiced with that are also included with this simulator. This product comes with a pulsatile pump to check the quality of the repair. Femoral Leg Simulator- weight: 850 grams; Size: 54 cm x 20 cm x 14 cm. Manufacturer -LifeLike BioTissue, Items 1204, 1255. Price: $1,548.75 (femoral leg without pump), $2,089.50 (femoral leg with pump).